If your decorating mantra is “less is more” or “simple is the key to true elegance”. You will definitely find Scandinavian design very appealing! Scandinavian design is defined as a design movement centered around simplicity, minimalism and functionality. Since Scandinavian countries such as Sweden, Norway and Denmark are in the north Europe and and have pretty cold climate. The sense of coziness and warmth is a huge part of this style. Some people might think Scandinavian design is cold, desolate or even boring but let me change your thoughts. 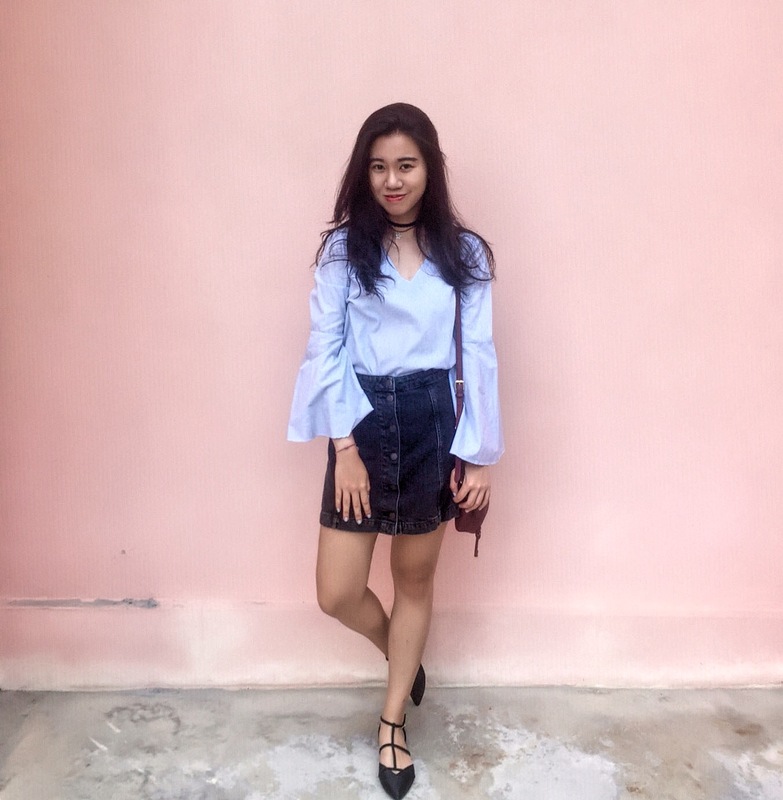 This style is about appreciating the beauty of simplicity and they are anything BUT boring! 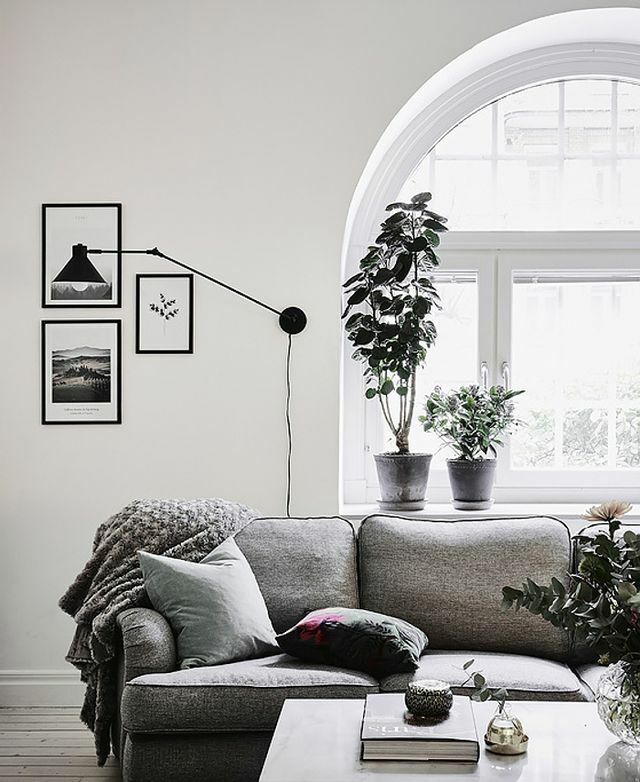 Below are some Scandinavian home decor concepts and beautiful examples of Scandinavian interior design that can inspire you to create your own stylish and cosy home! Let’s start with some basic concepts or features you gonna spot in a Scandinavian design home. 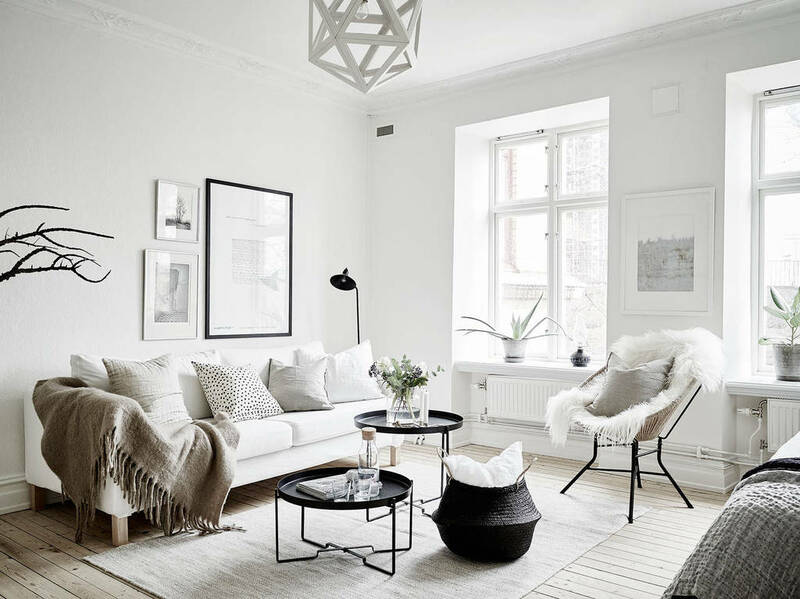 The easiest way to differentiate Scandinavian design among others is to spot neutral colors. 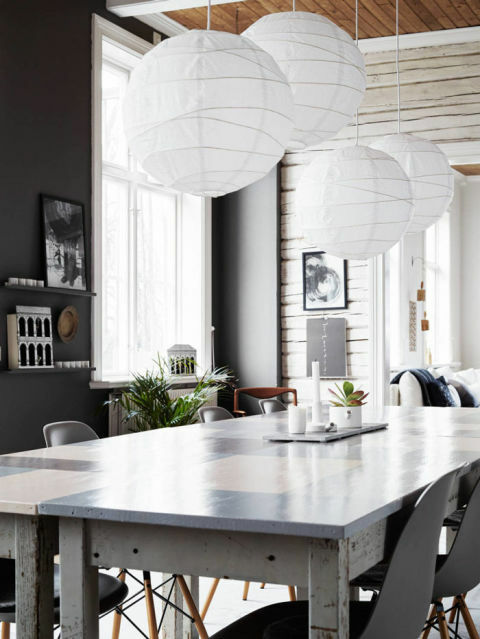 Scandinavian design only sticks to the calm, muted tones of pale blue, cool grey, black, white and cream. 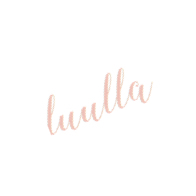 This color palette has almost become the trademark of Scandinavian design and seems to be one of the main draws to its global mimicry. 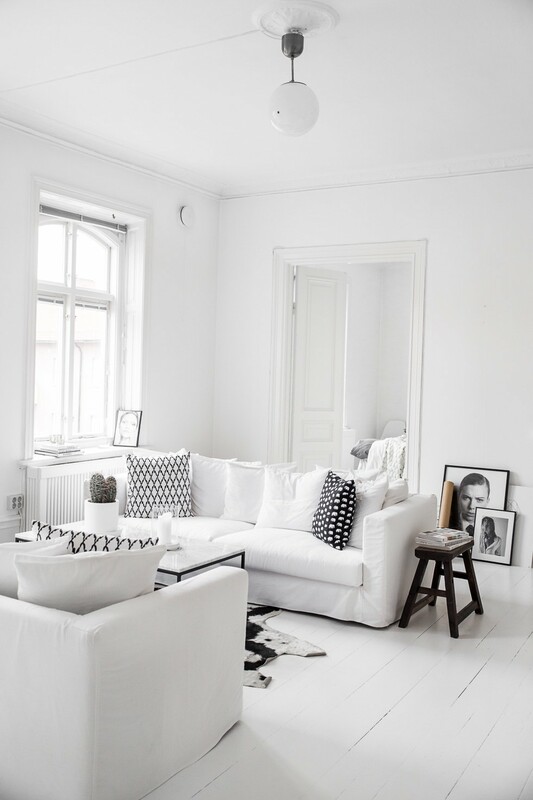 Like I said white and black are the most common palette you will spot in a Scandinavian home. Pale blues are extremely unique as they are not commonly seen in North American minimalist designs. From the picture above, you can observe that the designer has used tones along a spectrum of blue-green. The color has played a major role in enhancing the period features which have been painted in crisp white. Besides a pop of blue-green also stands out brilliantly against the monochrome and wood. 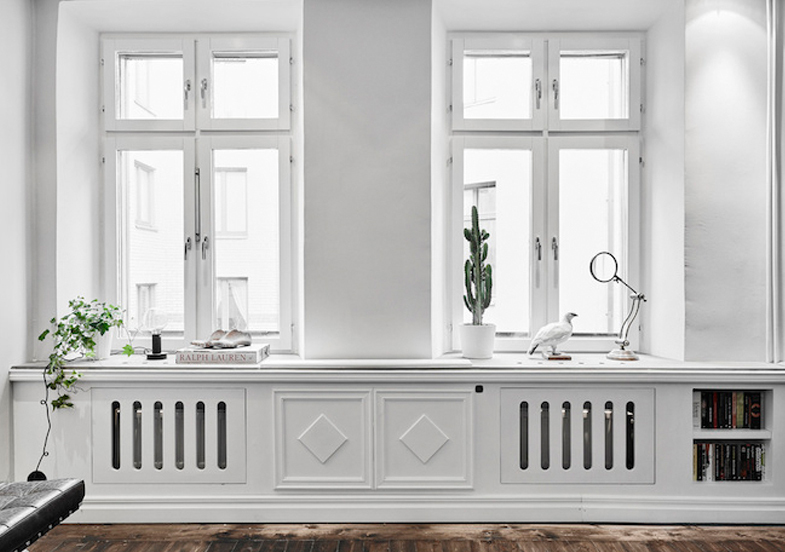 True Scandinavian designs always prefer the use of simple and light color such as white natural wood for their floor. This is due to light palette helps when the sun sets early. Besides, light color floors make a room seem open, airy, clean and able to accentuate the interior craftsmanship of a rooms architecture and furnishings. 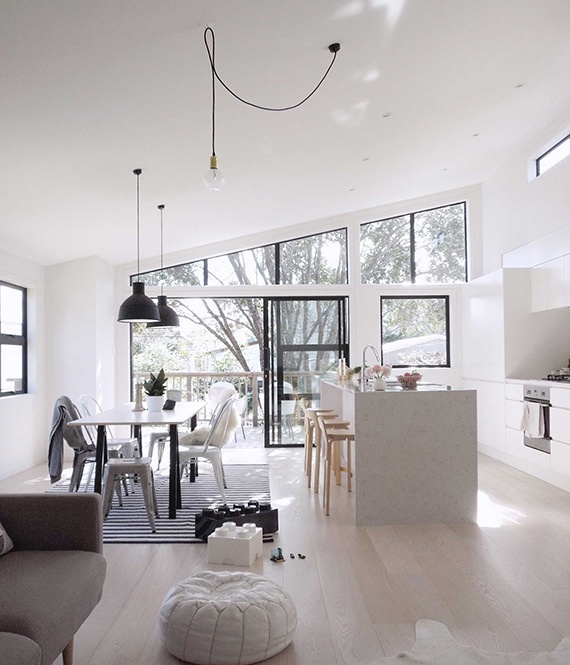 The designer has used white for floor, ceiling and walls making the entire living room look very clean and spacious. Trust me, mimic this clean design by using light color wood wherever possible as this is certainly an interior design that will not grow tired of. If the flooring is not white wood, then it still remains light in color with wood such as birch or pine, or a cool grey stone tile. 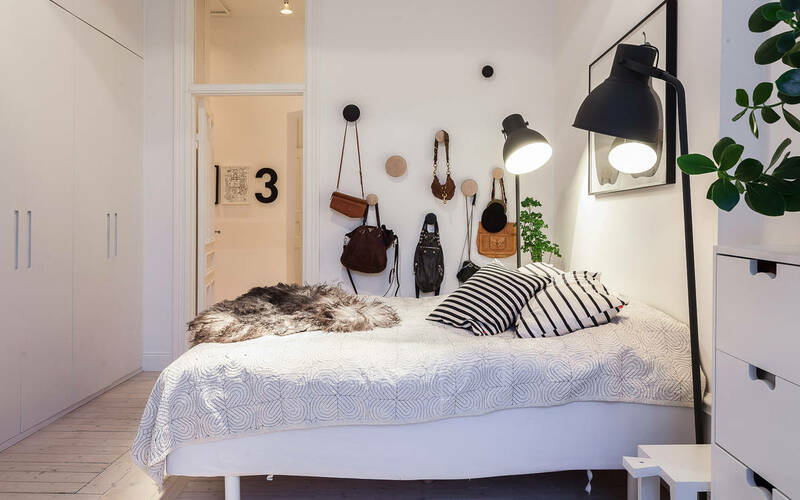 The third common trait you can spot on a Scandinavian design is the lighting. They will always include large windows especially floor to ceiling windows so that it allows natural lights to shine in. This is due to Scandinavians will encounter up to 60 days of polar nights during Winter, lighting become a crucial thing they have to consider. Nothing can beat the natural light shine in your dining and living area. Not only you can enjoy the warm heat but also able to see the starry night or aurora while you are chilling at the corner. 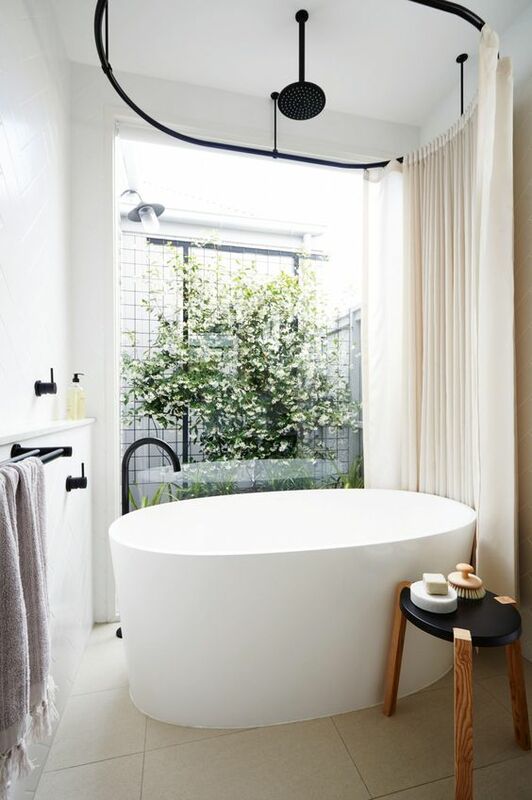 You will be amazed how Scandinavian designers even add in the floor to ceiling windows at the bathroom. It not only makes your bathroom one-of-a-kind, it also creates an illusion of wider space. 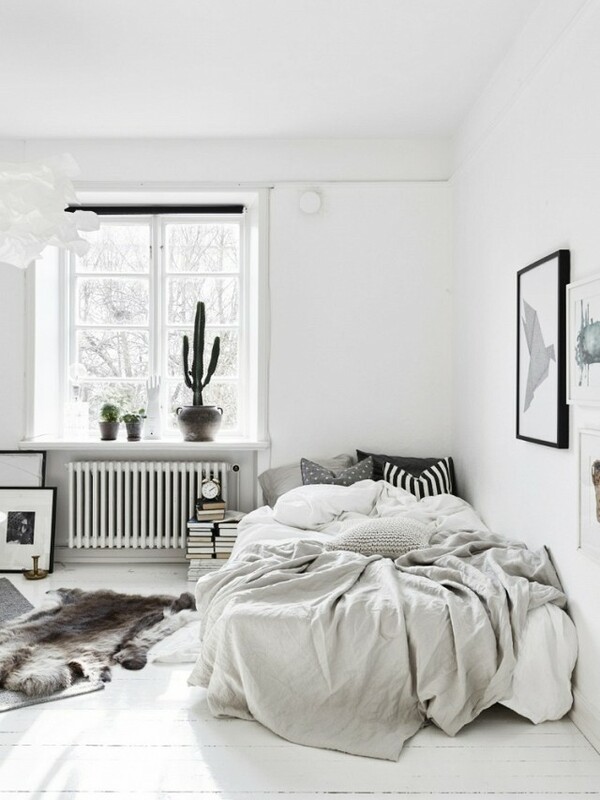 There’s something very comforting about Scandinavian design is they are beautifully edited but always a little undone too just like the bed. Whilst, the inserting of a white frame window will even make us want to to curl up on the cosy bed and read a book all day. Scandinavians have a deep–rooted love of nature. They enjoy outdoor activities such as biking, hiking, and swimming a lot and they take every possible opportunity to e in the great outdoors. Hence, during the cold winter days, they couldn’t enjoy the beauty of natural, hence, they always bring nature indoors as much as possible to chase away the Winter blues. They love to bring in numerous natural plants such as cactus, branch of wood to put on their cabinet or sitting on the floor. 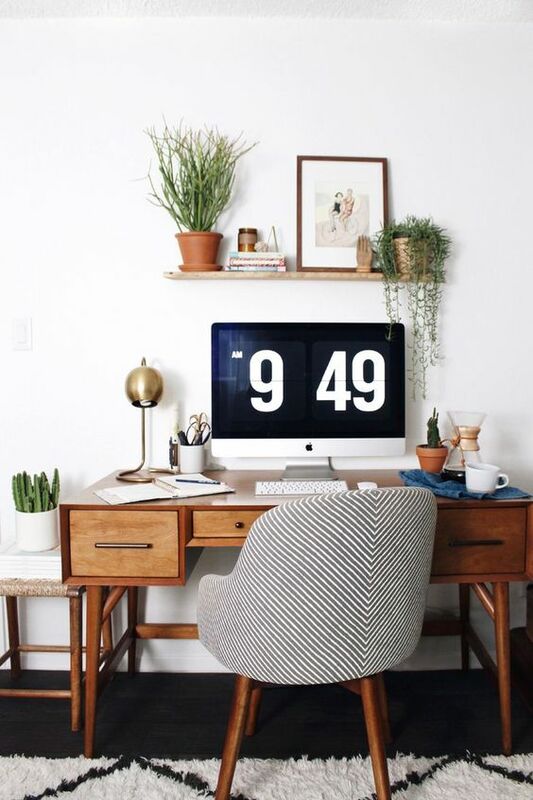 Green is love, decorate your working desk, or window by placing some plants. 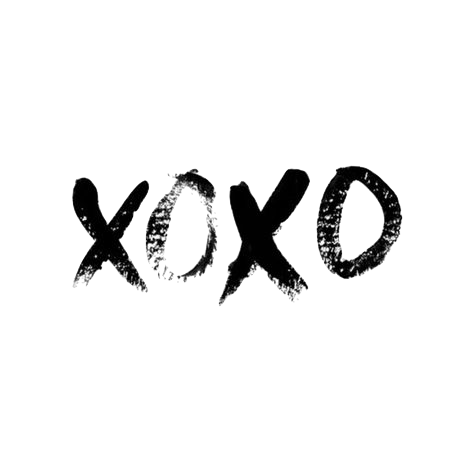 Trust me, it will definitely cheer the mood up whenever you are tired of your homework or work. 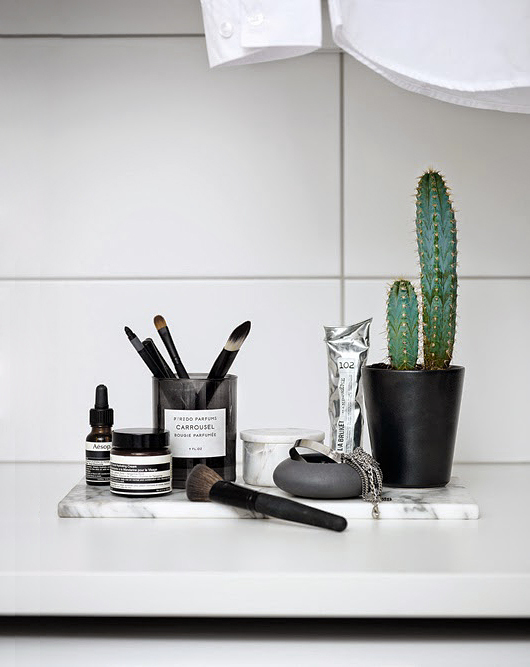 A pot of cactus will complement your white marble makeup tray and monochrome makeup tools. We’ve lived through succulent phase and it’s time to welcome cacti into our lives. 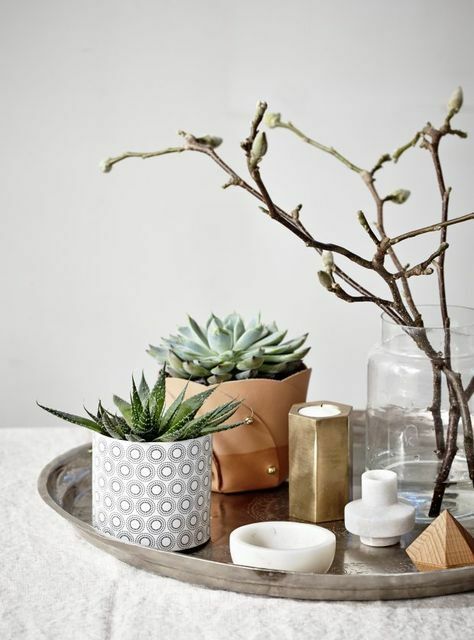 By adding a small or big pot of cacti, they will definitely increase the aesthetic of your interior and bring a cheerful bust of green into the monochrome world. 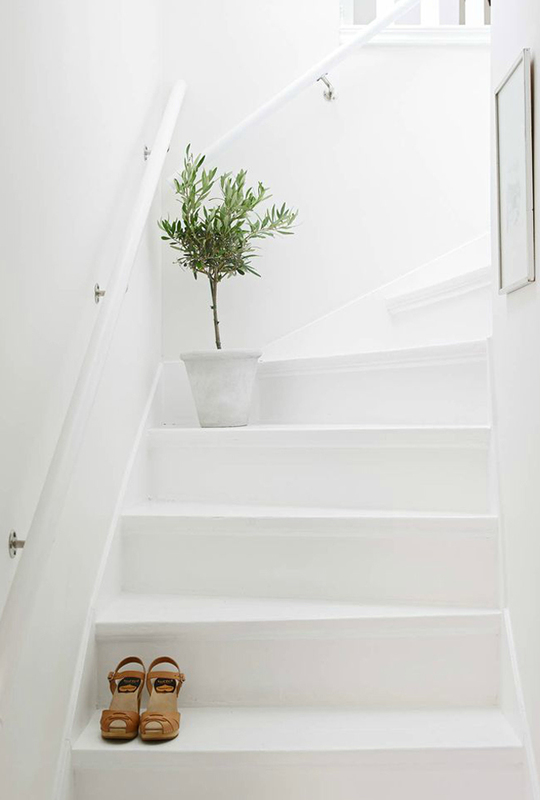 A pot of plant sitting on the floor of your staircase will definitely spice up the space by adding a pop of green. Functionality plays a supreme role in Scandinavian designs. They emphasised their designs to be open, airy and have a flow that allows easy and comfortable living. Scandinavian designs also does not require heavy decorative elements, they only include furniture which is functional and useful. Hence, this has helped them in getting rid of un-required clutter. Modern Scandinavian furniture takes advantage of innovative textiles which were not available to the early craftsmen. You can easily spot amazing craftsmanship in today’s Scandinavian homes via antiques and current designs. Regardless of decade their furniture is derived from, one thing certain is their detail and high quality materials. In addition, even though they are simplistic, they are very artful as well. 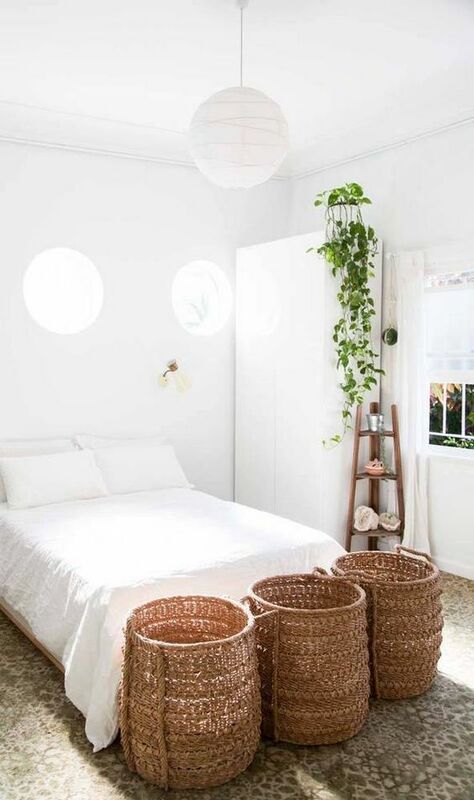 Source: La Maison d’ Anna G.
From the image above, we can spot all the furniture is very simple, functional yet elegant. The folding style wooden chair not only blends in very well with the rest of furniture. It also make it super easy for the owner to move around when it is needed. Hence, the functionality is definitely on point. Besides, take a look on the table, it is very simple yet it creates that minimal and artistic ambience. Source: La Maison d’ Ana G.
As I’ve mentioned, Scandinavian furniture is like an object of art, and it will last for a lifetime. Form the image above, you can probably spot the round knobs which act like hangers for the bags. They are not only very functional but also add an unique accent to the room. 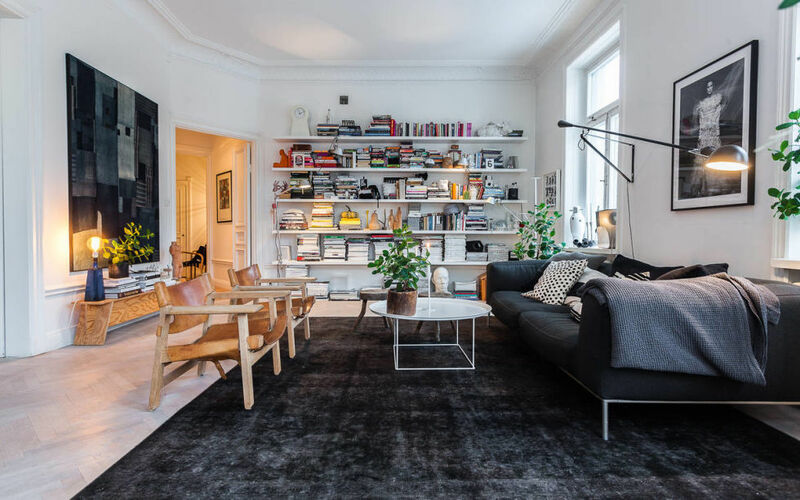 Hence, if you’re looking for decorations or furniture but they are out of your price range, consider looking to many of the modern Scandinavian furniture. I bet you’ll probably notice that minimalists out there who mimic Scandinavian design will always hang this graphic calendars in front of their work desk or set it as their Mac screensaver. 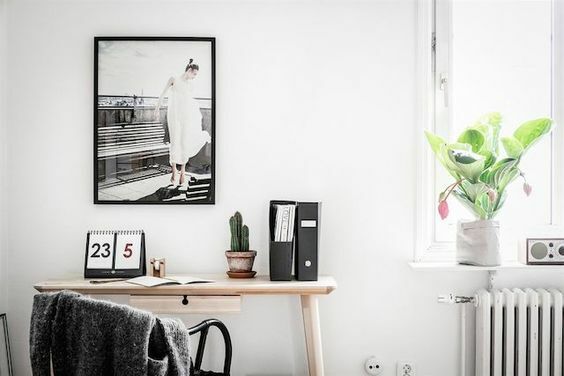 This is because these supersize Helvetica calendars will instantly tell you the date and not to mention the black and white colors do complement the Scandinavian design and inject a modern accent. If you couldn’t find an ideal graphic calendar, you can always substitute it with screensaver. There’s an ethereal feel to these giant paper lanterns, a perfect substitution of a traditional chandelier. The white paper lantern elevates the simplicity of the all-white scheme. The four huge paper lanterns which hang over the kitchen table adds a whimsical touch to the dining room. 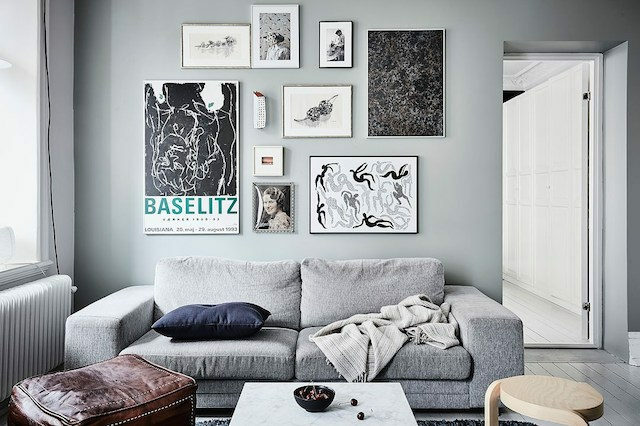 It is no surprise that monochrome artwork plays a huge part in Scandinavian designs. These modern monochrome artworks usually used to break through the white appearance magnificently and create super cool and artistic touch in the place. 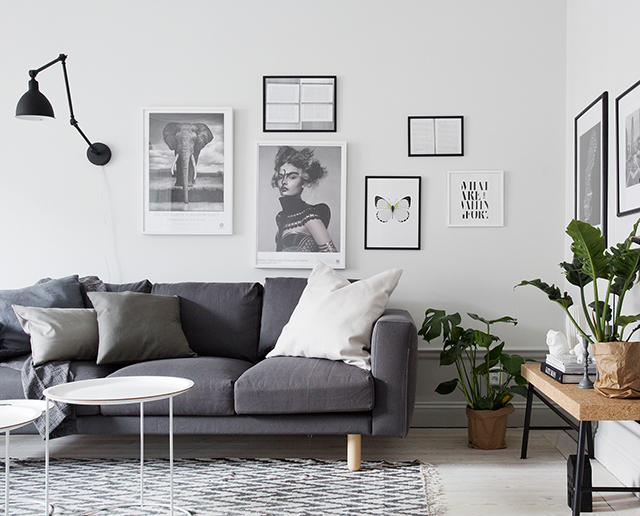 The monochrome artwork in black frames creates the utterly modern and dynamic ambience in this superb Scandinavian Living Room. 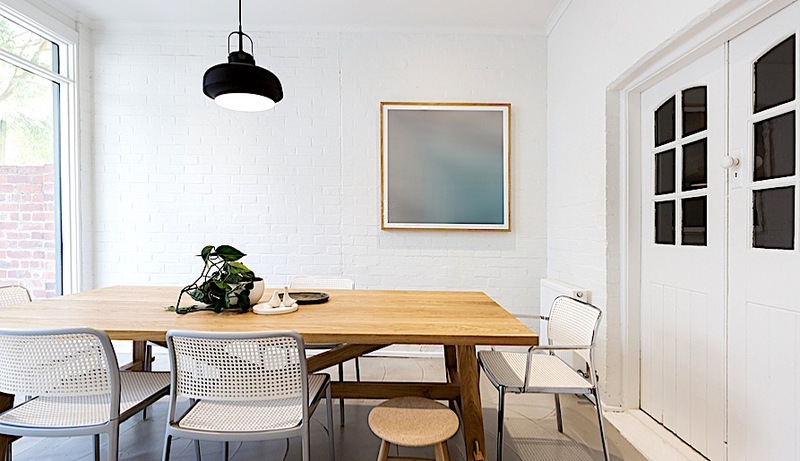 Thinking of giving your plain white wall a brand new touch? 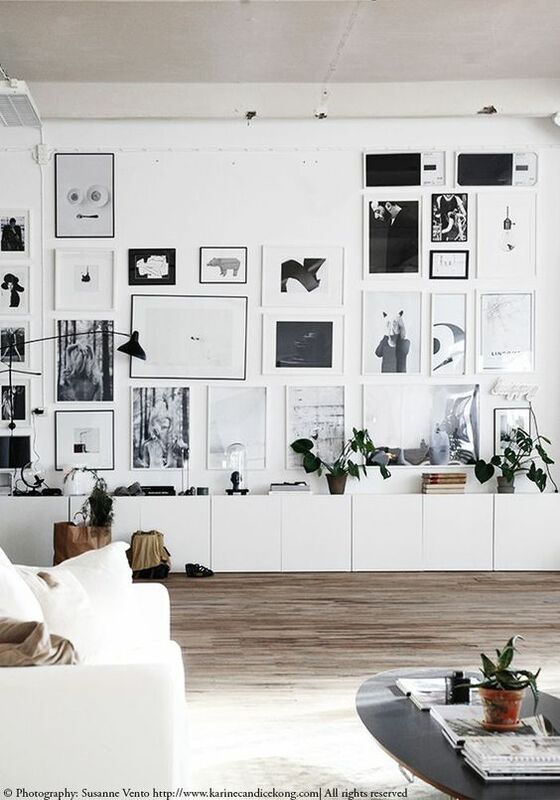 The easiest way is to pick some cool monochrome artwork and hang them and you will have the perfect Scandinavian inspired wall. YESSS you do not hear wrong, washi tape can be a type of decoration. 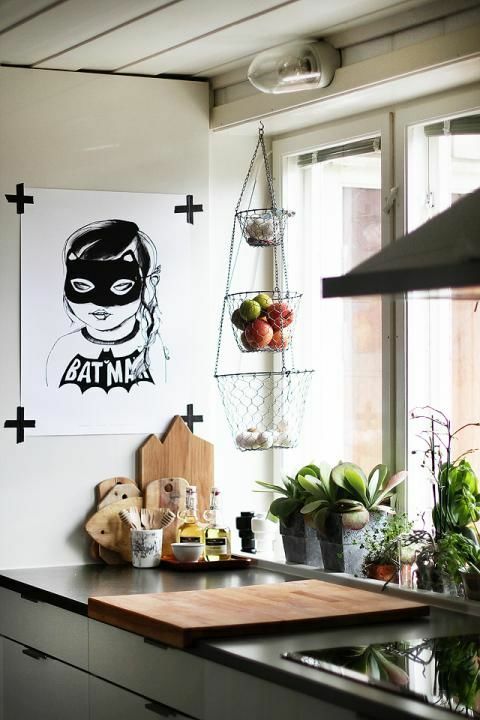 Scandinavians love to hang their poster using black washi tape as it is non-permanent and you can change your artwork frequently, and still graphic enough to make a statement by itself. That’s all for today, I believe by this point, after checking out all the beautiful homes, everyone of us would wish to hope on a plane to move to Scandinavian countries!! However, since most of are still stuck in the place or just don’t willing to suffer the cold winter days, we can actually mimic the Scandinavian designs in our homes. All you have to do is follow the concepts which I’ve outlined above! 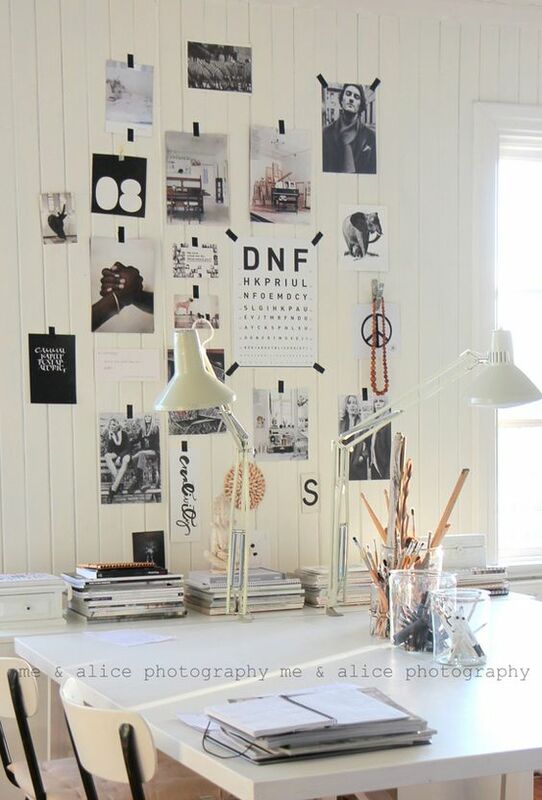 So, lets start by painting our walls in neutral palettes!